16 May 1943: As night begins to fall, RAF Lancasters from 617 Squadron leave England at low level heading for Germany's Ruhr dams on Operation Chastise - the Dambusters raid. The specially modified bombers are carrying the Barnes Wallis-designed "bouncing bomb" code-named Upkeep. 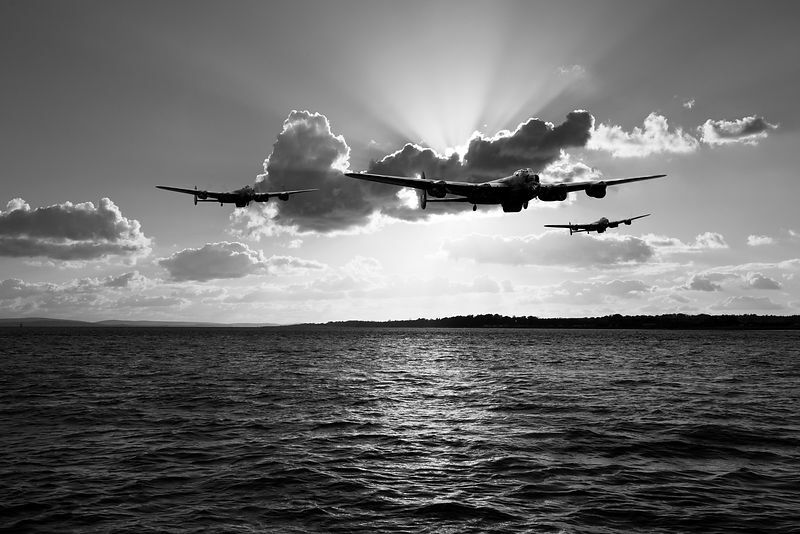 This is a monochrome version of this Flight Artworks photorealistic reconstruction. It includes my extensive modifications to a standard Lanc that was originally photographed by Ronnie Macdonald (used with permission).